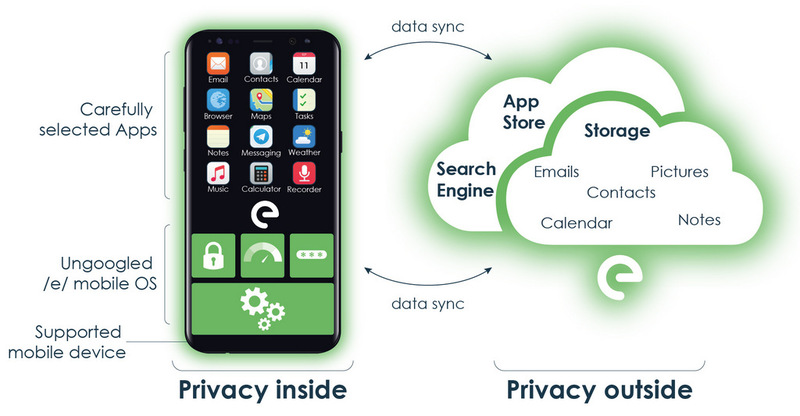 /e/ comprises a mobile operating system (OS) and carefully selected applications, which combine to form a privacy-enabled internal environment for mobile phones. It is associated with common online services – a search engine, an email service, an Android application repository, and online storage. The whole environment is free from Google services. Imagine mobile phones running a desirable operating system, at a reasonable cost. Not running Google or any other “data hungry” services. And at the same time, mobile phone operating systems where personal and corporate users can install and use mainstream apps of their choice, if they wish so. That’s what /e/ is going to provide: attractive mobile phone operating systems with better privacy. Is /e/ mobile phone OS available? Yes! A first beta is now available. You can test it on a selection of devices. A full description of this release is available online in this article. This year we will begin selling the first mobile phones, which will be “post market” phones, i.e. phones that we buy, flash with the /e/ system and sell to customers. /e/ is also already seeking hardware partners and resellers that would be interested in preloading /e/ for mass-market release. Today, it’s hard to imagine smartphone usage without the Internet. 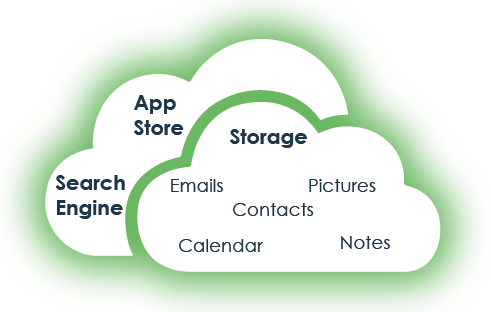 Your smartphone links with many web services: search, email, drive, online backup, maps etc. But most of the time, those “free” services are just excuses to capture as much of your personal information as possible. Because /e/ is about protecting your digital life privacy, we will make available (as much as possible) existing open source alternatives to those services. Advanced users will even be given the opportunity to self-host those services, if they so wish! We will also release an alternative application repository where you can find and install most existing applications, without even having to login. Along with the /e/ smartphone operating system, this will make a consistent, more ethical, and more respectful ecosystem. search: we won’t track you to sell you ads! mail: a ‘state of the art’ email service, and we won’t scan your contents. drive: a storage place where you can save your data safely. office: a set of online office applications (including word processor, spreadsheet and presentation) that you can use for collaborative work also. application repository: an independent alternative place where you will be able to choose from thousands of applications, including all well-known applications. But not just that! we’re putting in place an original mechanism for users to score applications: their quality, if they are open source or not, if they respect data privacy… The best apps will get an /e/ label! Update: a first beta is now available! Would you like to test it along with the first /e/ online services? You can download the system here and ask for an online services test account.